Palazzo, Trump Tower and Signature MGM Grand Las Vegas hotel discount for Memorial Day weekend in Vegas and summer vacation travels. Enjoy money saving hotel deals for several four and five star luxury hotel accommodations on the Las Vegas Strip. Experience five star accommodations at Palazzo Las Vegas Strip hotel, adjacent to the Venetian. 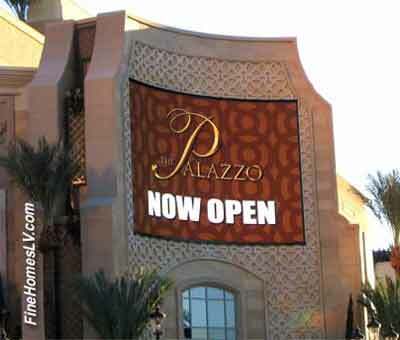 Book Palazzo online and receive a $179/night summer special with weekends starting at $219/night. If you book your Palazzo hotel stay by May 13, use promo code “EPD0508.” Use promo code “VENPAL” after May 13 and receive a “Phantom of the Opera” ticket upgrade when you purchase “Jersey Boys” show tickets. The package includes free internet access, ticket upgrades, dining rewards and gaming credit. Purchase a Jersey Boys show ticket and receive a FREE show ticket upgrade to Phantom of the Opera at the Venetian hotel. Trump Tower Las Vegas rooms start at $198/night before tax via discount hotel reservations. Book your hotel stay by May 31 for travel to Las Vegas Nevada through September 31. As an incentive to stay during May, you’ll receive a $25 resort credit and a three night minimum stay through December 20 will get a FREE Tuesday night. The early week stay at Trump International Tower Las Vegas has been seen for reservations during Mon and Tue toward the end of May, 2008. Book a hotel room at the Signature MGM Grand Hotel by May 21 for travel to Las Vegas, NV through August 31. The Signature hotel is a non gaming hotel, but is attached to the MGM Grand casino. Use the hotel booking code “Sum008” for junior suite rooms starting at $149/night. The Summerfest hotel package includes free dinks at their luxurious pool. Two Free cocktails at the Lobby Lounge or Signature MGM pool. Call 702-505-6988 for VIP Las Vegas real estate mls search with Las Vegas real estate agents. Palazzo, Trump Tower and Signature MGM Grand Las Vegas hotel discount.